Sarah had a dream about flying in her bed over a city at night with her dog. 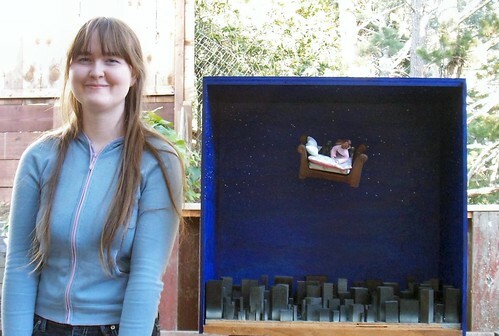 She drew the scene and then created this wonderful diorama. This entry was posted by Janet Lawson, MFT on Sunday, May 31st, 2009 at 10:04 pm	and is filed under Student Projects. You can follow any responses to this entry through the RSS 2.0 feed. Both comments and pings are currently closed.